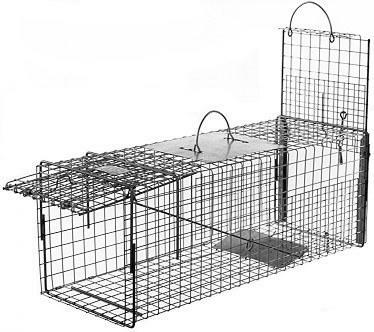 Deluxe Transfer Traps also feature a sturdy frame that is constructed of heavy 12, 14, or 16 gauge galvanized steel wire mesh for maximum resistance to rust and corrosion. 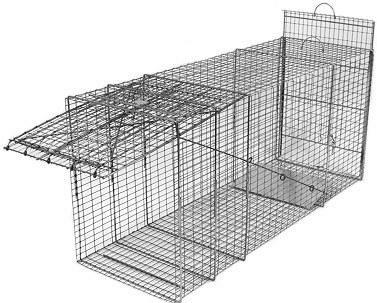 An open fabric construction allows the animals to see through the trap in all directions and enter the trap with confidence. 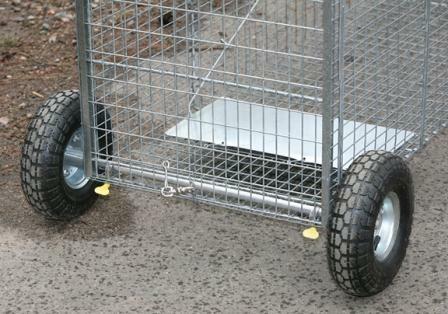 Galvanized steel rods are welded to the wire mesh frame for extra support and reinforcement. 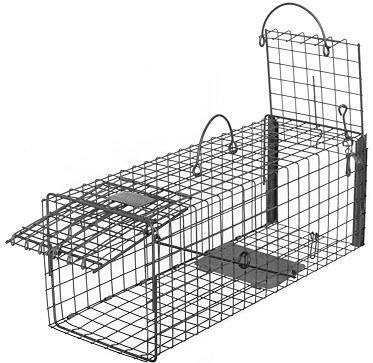 A spring loaded, automatic locking V-door, securely and safely traps the animal inside the trap immediately after the animal steps onto the trip pan, located at the back of the trap. 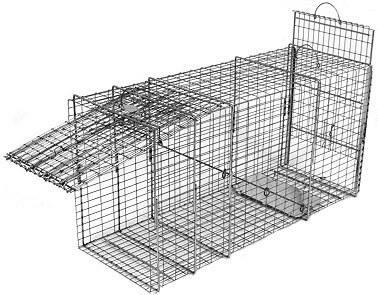 Galvanized 1/2 by 1/2 inch wire mesh openings are welded to the bait areas to prevent animals from reaching through the outside of the trap. A super fast spring loaded door eliminates the chance of the animal backing out of the trap before the door springs shut and locks into place. The special locking system and the heavy reinforcement of the trap door prohibits the animal from forcing the door open, even if the animal manages to turn the trap upside down. 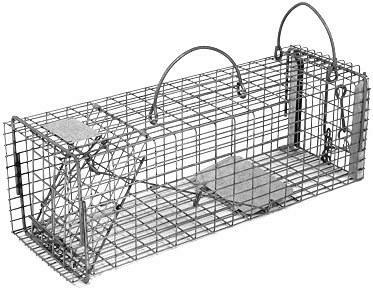 This makes our Live Traps perform well when trapping animals at any angle. Deluxe Transfer Traps are also equipped with an adjustable trigger release mechanism that allows for heavy or light sets. 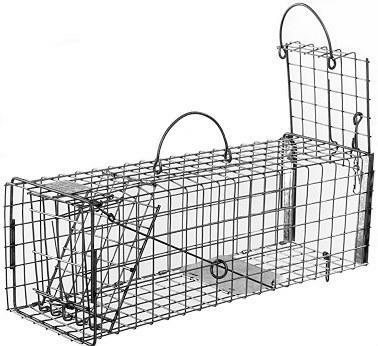 Most of these traps include a protective piece of galvanized sheet metal under the safety handle of the trap, to protect the handler against scratches from the trapped animal. 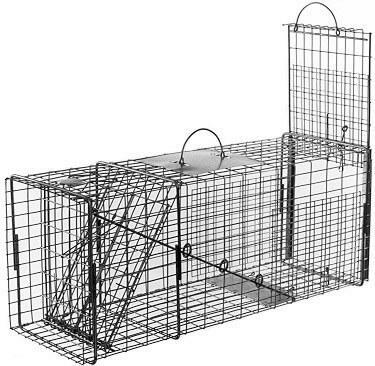 Transfer traps are available in a variety of different sizes, ranging from rat to large dog.